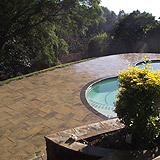 All paving is installed by qualified installers. 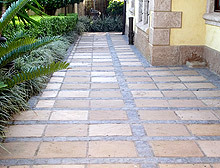 All paving is installed on a granite and cement base which stabilizes the soil. Once the base is hard a wet mix is used to lay the pavers onto. This again reduces the risk of movement and minimizes the possibility of the grouting cracking. 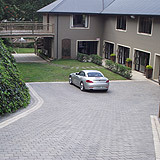 Where paving is added onto existing paving/areas BRC mesh is used to ensure cracking is eliminated. 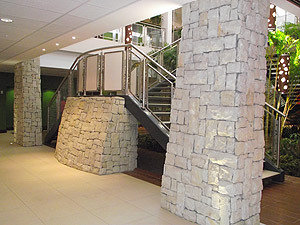 Various patterns/colours/styles are used when installing, this is dependant on the clients requirements as well as the space which is being paved. 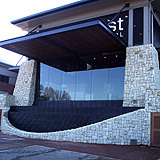 We consult with the client and put forward recommendations. 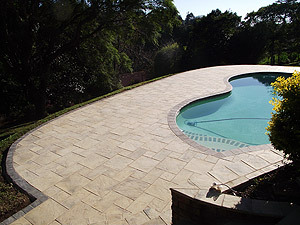 All paving is haunched once completed to ensure the paving is secured.